​• Our only goal at our company is the customer's total satisfaction. 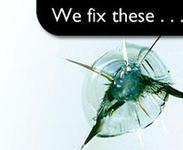 We would like you to always ask for SuperGlass as soon as you need a windshield Chip/Crack repair. We are prepared to perform above your expectations to ensure that happens with our rock chip repair in Denver. • All car glass repair companies are not alike. SuperGlass stands out as a leader in training, customer service, and technology because our windshield chip repair in Denver are designed with customer satisfaction in mind, not financial or logistical difficulties. Here are a number of other reasons that you'll be glad you chose to use SuperGlass, whether it is to repair your family car’s glass, or a fleet of 18-wheelers glass. Every SuperGlass Franchisee completes a two-week training program before they are certified to repair your glass or cracked windshield. The training program for SuperGlass includes intensive technical training as well as customer service specialized training in the classroom and in the field. All SuperGlass Technicians are required to always be in uniform while they are working. Our employee’s professional image is part of the SuperGlass customer service program and offers security to our customers knowing that they are dealing with someone from SuperGlass. Every SuperGlass Windshield Repair Franchisee is local, and run by an independent businessperson. It is always in our company’s best interest to exceed every customer's expectations and that effort is supported by a full service team at the SuperGlass Company Headquarters and Training Center which is located in Orlando, Florida. At SuperGlass, we never rest on our laurels. SuperGlass’s Glass Crack Repair Training and Manufacturing Departments are constantly developing and testing new resins and technology that allows SuperGlass Franchisees to be the quality leaders in windshield crack repair worldwide. For more information about auto glass repair in Denver, please call us today.